Your mobile navigation should come set up properly to work by default in your chosen site design. However, if in the process of building out your site, it throws the mobile navigation out of whack, here is how you get that set back up. 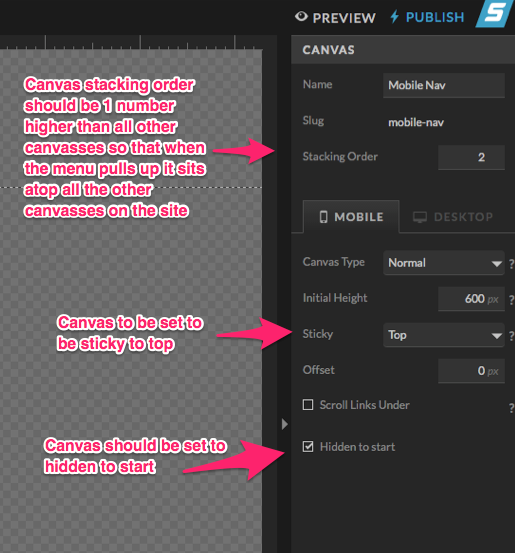 First let's look at the canvas settings we need to make sure are applied to the actual mobile canvas, this is the canvas that pops up to display your site navigation options. 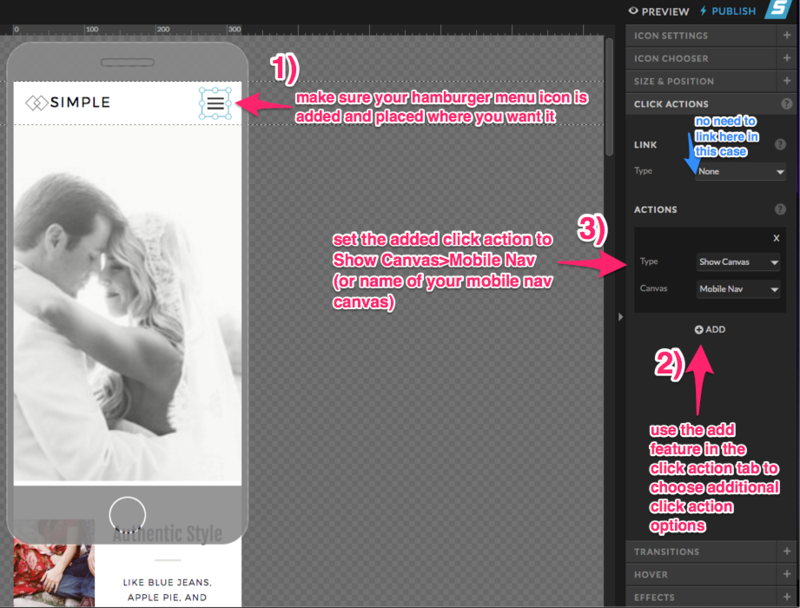 In this example the canvas is named "Mobile Nav" but might vary in your specific design. Stacking Order: For the mobile nav menu canvas, you will want to make sure it has a stacking order 1 number higher than any other canvas in your site design. This ensures that when a visitor to your site clicks the menu icon the menu will display over the rest of your mobile site. Sticky Setting: The mobile nav should be set to sticky to top, this way combined with our stacking order setting, the menu will display at the top of the users mobile device, above the rest of the site so they can select their menu option of choice. Hidden to Start: Make sure to check the hidden to start box for your mobile nav canvas so it doesn't show all the time at the bottom of the site design, rather only when the menu is triggered. Next, let's look at the settings for our hamburger menu icon which will trigger our hidden mobile nav canvas. Now that your menu is setup, you will need to make sure to have the correct add action applied to your mobile nav menu options. In order for the triggered hidden canvas to once again be hidden, it must be triggered again. 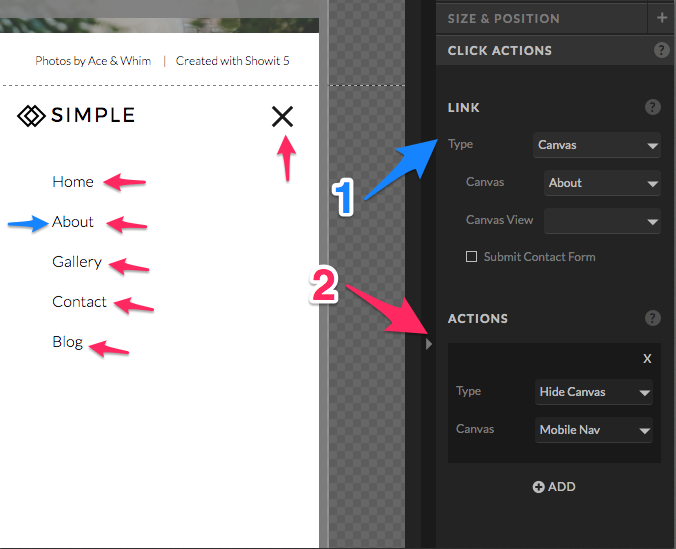 To do this, simply apply the click action pictured below to each menu option and the "x" that closes your menu.